These aren't great pictures, but they show the three stages in progress. We have forged ahead with a combo of ideas... We ended up getting a good deal on used foam board. We cut to size and put in between rafters. Wasn't too bad actually - just lots of little specs of foam everywhere. Next time do this before moving into the place!) It fits snug. Affordable options to cover the ugly foam were not many - we couldn't find a big enough white parachute (our yurt is 27'), the price for the white roof covering from the yurt companies is very high. We ended up ordering unbleached muslin from Joannes Fabric online and with a 40% off coupon it was about $125. Thought about sewing to size but that seemed complicated so we tacked in place with staples and then added lath on every rafter to secure in place. All in all 3 full days of work. Working amazingly well and wasn't too hard of work. Just slightly tedious. but it won't be as think as the rest of the ceiling and we only use it when REALLY cold cause it's so much of our natural light. but what we noticed made a huge difference in keeping our yurt warm was adding our insulation under the yurt. 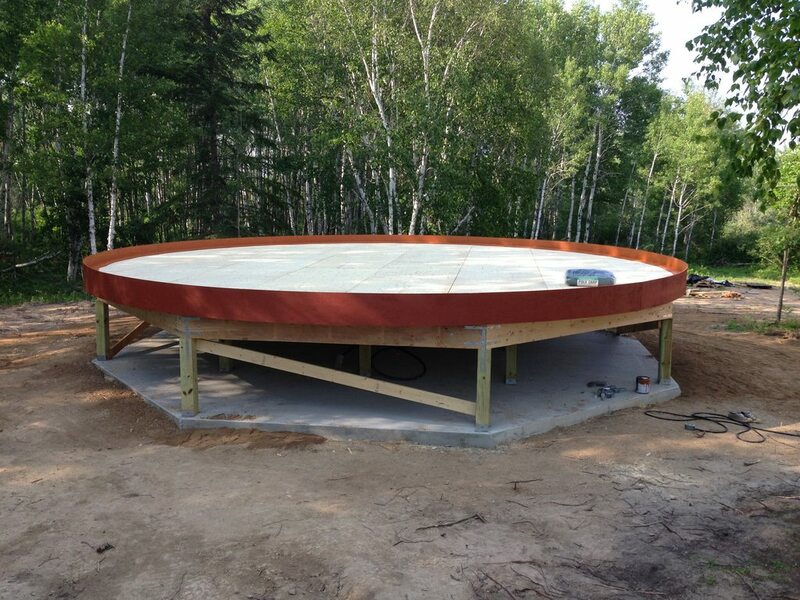 As far as I'm concerned an insulated platform is an integral part of a year-round yurt. No insulation = summer tent! My floor is not insulated at camp and I don't notice it that much (except when I walk barefoot). Our floor is not insulated, but we enclosed our space under the yurt with walls, and insulated them. It gets quite cold here, and we have a well and running water in the yurt, so we had to be sure it couldn't freeze up down there. It also gives us some extra storage space that stays around 55 degrees. Jafo, Corinarose and Forestdweller like this. 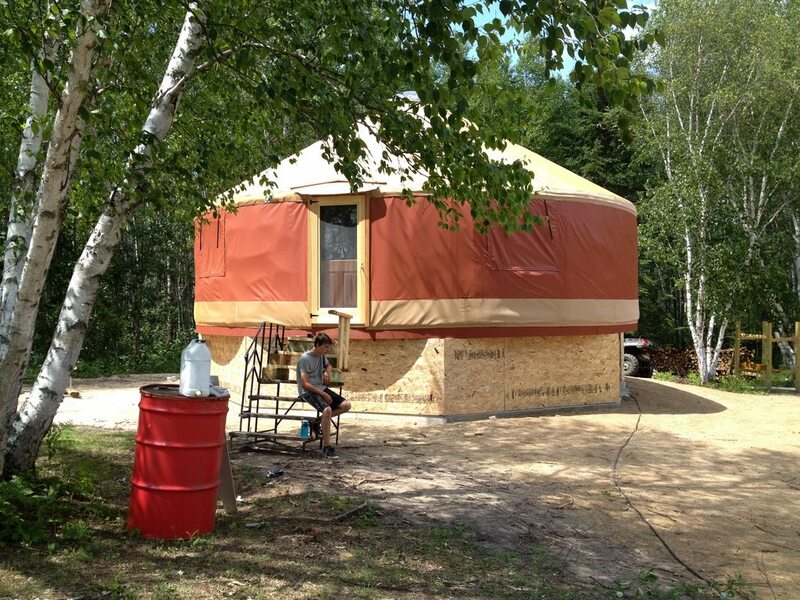 There is a Yurt Mfg. in Homer, AK, they build good Yurts. they make a insulated blanket from the same polyester we use in cold weather clothing. It costs about $1800.. (it think) I deiced to made my own 1 1/2 inch polyester quilt roof blanket. I bought there rolls of house wrap and several rolls of tape. In my case a 30 x 30 ft square was taped together on the loft floor. (i.e. in the yard in the grass) the roof was laid out using geometry for a cone. Two pieces were made. I ordered 8 rolls of 1.5 inch poly insulation and glued it to the house wrap, trimming to fit the cone.. The top piece of house wrap was sprayed with glue and carefully laid on top of the poly and it all stuck together, We then went around the entire perimeter of the "blanket" and tape the edges every 16 inches. The result is a very nice roof quilt. 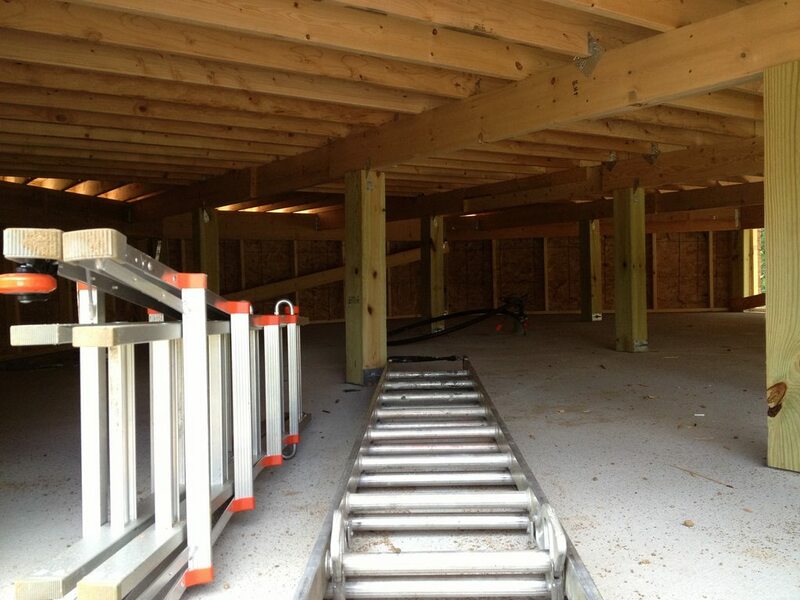 It will be placed under the roof over the bubble/aluminum insulation. The people who have installed this blanket report good result. This year is my first time of having to provide my own heat in Alaska. It is a challenge. A gas 20,000 BTU vented wall heater and 1.5 inch pink foam insulation did not do the job in my Connex cabin. I had to install the wood heater. TKOAK, do you have photos of what you described as your roof quilt. i couldnt quite follow your written description. I do so appreciate everyone sharing what they are creating to stay warm but sometimes words dont quite convey what everyone is doing. I guess I am a visual oriented person. As for the dome. I velcroed 4mil plastic to the dome bug net (plastic on the dome side of the net) cutting a slit for the dome opener (which matched what the bug net had) and then velcoed the whole thing back in place. problems on the dome and since then --NONE! Its set up so if I need to open the dome I can. I'd take a photo but it just looks like the bug net screen in place, you cant see the plastic. 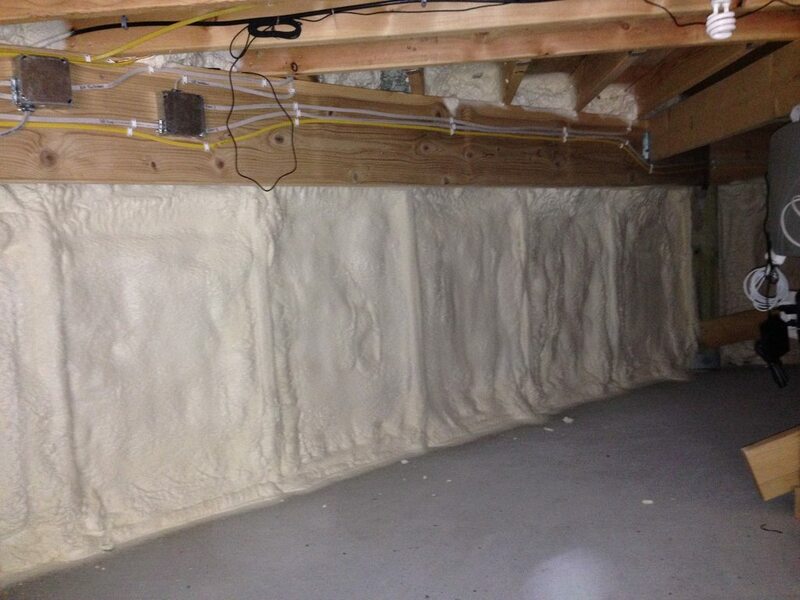 I have roxul in my walls and in the next couple of weeks I will be putting it in the ceiling so I am very grateful for everyones input on insulating.